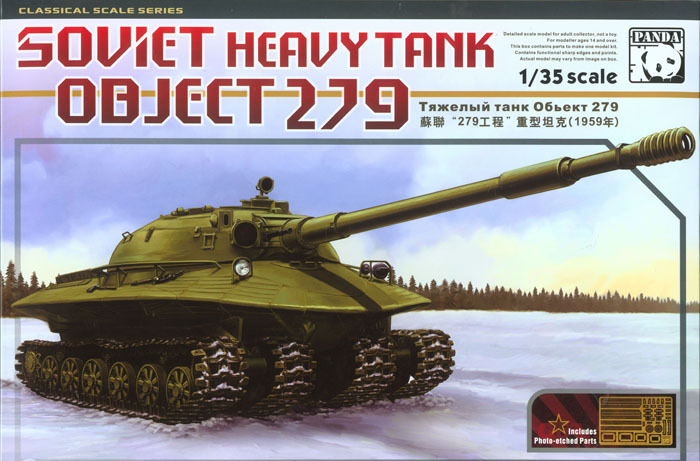 Object 279 was a Soviet experimental heavy tank developed at the end of 1959. This special purpose tank was intended to fight on cross country terrain, inaccessible to conventional tanks, acting as a heavy breakthrough tank, and if necessary withstanding even the shockwave of a nuclear explosion. It was planned as a tank of the Supreme Command Reserve.